Atlantic Water Gardens Pond & Waterfall Pump, Energy Efficient & High Flow Rates, 4000 GPH | Fountain City Art Ctr. 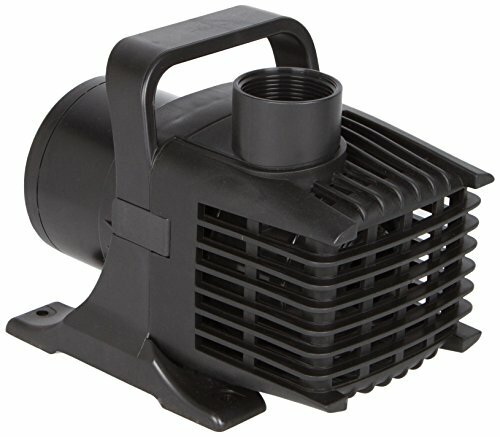 Atlantic Water Gardens TidalWave TT-Series pumps are the next generation of ultra-high efficiency asynchronous submersible pumps for ponds, waterfalls, water features and fountains. Offering flows from 1500 to 9000 gallons per hours, these pumps are compact to fit the tightest spaces and can fit a wide range of applications. The TT-Series is specifically designed to be clog-resistant and hard water-tolerant, making them the perfect choice for all high flow, medium head applications. To find out if this pump is right for your water feature application, watch the product video above on "How to Calculate Total Dynamic Head", which is also available on YouTube on the AWGTV page. This guide will help you find out if you are using the correct pump for your pond, waterfall, water feature or fountain.